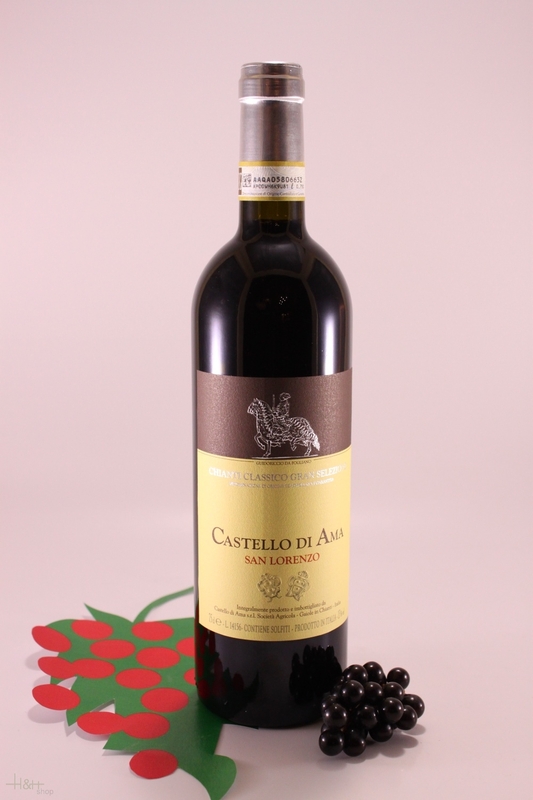 Characteristics: The 2015 Chianti Classico Castello di Ama flows with the essence of sweet perfumed fruit. Red cherries, raspberries, flowers and spices are intermingled with suggestions of tobacco, licorice and earthiness that linger in the background. The wine reveals incredible length, and sweet, silky tannins that caress the palate all the way through to the close. "The Wine Front" has rated the wine "Castello di Ama 'San Lorenzo', Chianti Classico Gran Selezione DOCG, Italy" from the vintage 2013 on 10.08.2017 with 94 of 100 points. "Falstaff Magazin" has rated the wine "Castello di Ama 'San Lorenzo', Chianti Classico Gran Selezione DOCG, Italy" from the vintage 2013 on 10.02.2017 with 91 of 100 points. "Wine Spectator" has rated the wine "Castello di Ama 'San Lorenzo', Chianti Classico Gran Selezione DOCG, Italy" from the vintage 2013 on 15.12.2016 with 94 of 100 points. "Wine Enthusiast" has rated the wine "Castello di Ama 'San Lorenzo', Chianti Classico Gran Selezione DOCG, Italy" from the vintage 2015 on 06.01.2016 with 93 of 100 points. "Falstaff Magazin" has rated the wine "Castello di Ama 'San Lorenzo', Chianti Classico Gran Selezione DOCG, Italy" from the vintage 2015 on 30.09.2015 with 92 of 100 points. "Falstaff Magazin" has rated the wine "Castello di Ama 'San Lorenzo', Chianti Classico Gran Selezione DOCG, Italy" from the vintage 2010 on 13.02.2015 with 90 of 100 points. "Wine Enthusiast" has rated the wine "Castello di Ama 'San Lorenzo', Chianti Classico Gran Selezione DOCG, Italy" from the vintage 2010 on 07.01.2015 with 95 of 100 points. "Wine Spectator" has rated the wine "Castello di Ama 'San Lorenzo', Chianti Classico Gran Selezione DOCG, Italy" from the vintage 2010 on 31.10.2014 with 95 of 100 points. "Wine Spectator" has rated the wine "Castello di Ama 'San Lorenzo', Chianti Classico Gran Selezione DOCG, Italy" from the vintage 2015 on 31.10.2014 with 92 of 100 points. "Vinous Antonio Galloni" has rated the wine "Castello di Ama 'San Lorenzo', Chianti Classico Gran Selezione DOCG, Italy" from the vintage 2010 on 01.09.2014 with 91 of 100 points. "Wine Spectator" has rated the wine "Castello di Ama 'San Lorenzo', Chianti Classico Gran Selezione DOCG, Italy" from the vintage 1990 on 28.02.1995 with 90 of 100 points. "CellarTracker" has rated the wine "Castello di Ama 'San Lorenzo', Chianti Classico Gran Selezione DOCG, Italy" from the vintage 2015 with 91 of 100 points. "CellarTracker" has rated the wine "Castello di Ama 'San Lorenzo', Chianti Classico Gran Selezione DOCG, Italy" from the vintage 2013 with 91 of 100 points. 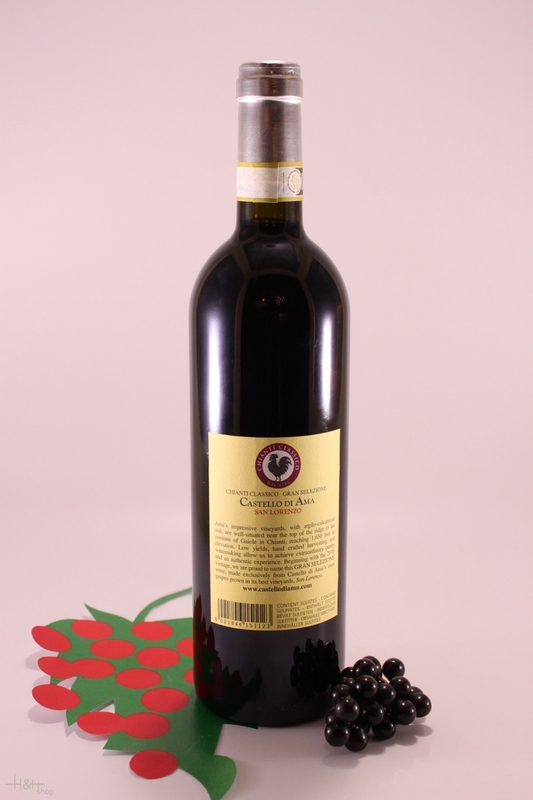 "CellarTracker" has rated the wine "Castello di Ama 'San Lorenzo', Chianti Classico Gran Selezione DOCG, Italy" from the vintage 2010 with 91 of 100 points. "Stephen Tanzer" has rated the wine "Castello di Ama 'San Lorenzo', Chianti Classico Gran Selezione DOCG, Italy" from the vintage 2010 with 91 of 100 points. "Vinum Wine Magazine" has rated the wine "Castello di Ama 'San Lorenzo', Chianti Classico Gran Selezione DOCG, Italy" from the vintage 2015 with 17 of 20 points. In colour it is deep ruby-garnet with a typical aroma of undergrowth, small berry fruits and black cherry - mellow, sweet and inviting. On the palate it is warm, harmonious and well-knit, round and rich in complexities, firm though elegant, broad and velvety, enveloping with the grace and refinement of a truly international wine which will become even more impressive after a further one to two years in bottle. Valpolicella Ripasso DOC - 2016 - Sartori di Verona 19,75 EUR / 26,33 €/lt. Vigna d'Alceo IGT - 2004 - Weingut Castello dei Rampolla 168,60 EUR / 224,80 €/lt. Barbaresco Il Bricco DOCG - 1993 - Pio Cesare 57,35 EUR / 76,47 €/lt. Cyane Moscato Bianco - 2017 - Winery Pupillo 16,90 EUR / 22,53 €/lt.